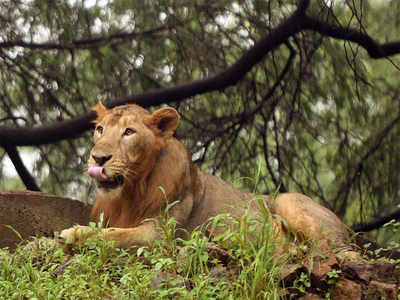 BHOPAL: For the first time in the 27-year tussle, Madhya Pradesh government has gone on record to allege that Gujarat government has made it a "prestige issue" not to shift Gir lions to Kuno despite a Supreme Court ruling. Neither the chief minister nor senior forest officials have ever given any official statement on the stalemate in recent years. In fact, chief wildlife wardens of MP had stopped responding to media inquiries on the row between two BJP-ruled states. At the 16th meeting of the MP state wildlife board, the stalemate was discussed at length and it was unanimously decided that tigers would be shifted to Kuno, given that Gujarat is not ready to share its lions. The bombshell is tucked away in order number 1 of the minutes of the meeting: "Considering the fact that despite rehabilitation of people in 24 villages from Kuno around 20 years ago and notwithstanding the Supreme Court order of 2013, Gujarat was not ready to shift Gir lions making it their 'prestige issue', it would be better to shift dispersing tigers to that place to avert man-animal conflicts in the state." 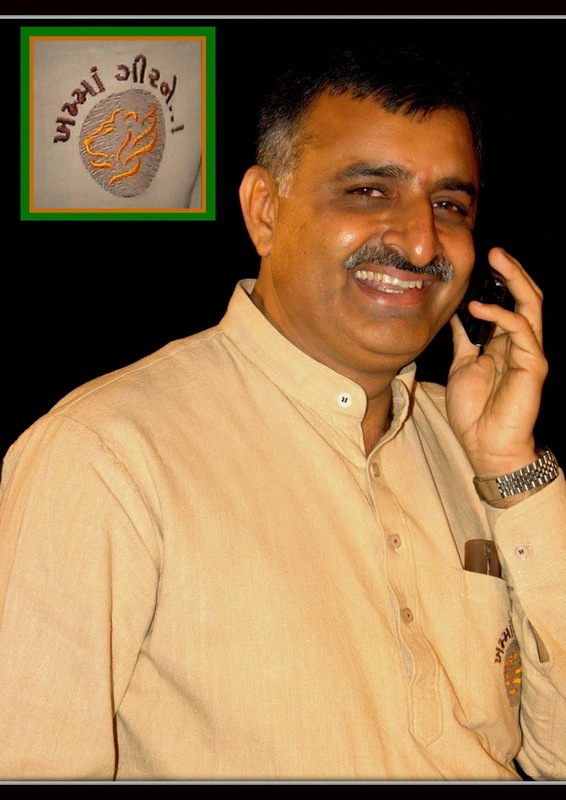 Wildlife activist Ajay Dubey, who has filed a contempt petition in Supreme Court, demanding action against the Centre and Gujarat government for not implementing the SC order of April 2013, has questioned the MP government's stand. He finds the order of the 16th meeting "highly objectionable", and says: "When they accept that Gujarat has made it a prestige issue, why don't they file a contempt petition in court? They could have, at least, supported my petition on the same cause in court. It's a dubious stand. If it's a prestige issue for Gujarat, why isn't it for MP as well when they have done everything that was required — including shifting hundreds of poor villagers and taking away their livelihood?" When shortage of prey base was cited as one of the major objections, the MP government had gone to the extent of declaring 700 sq km as a protected area to resolve the issue. After MP won the eight-year-long legal battle in 2013, Gujarat has been dilly-dallying on compliance, say MP officials. Madhya Pradesh went to the extent of suggesting that they were not averse to retaining the tag of 'Gir' or 'Gujarat' to identify the relocated lions at their new home in Kuno-Palpur. 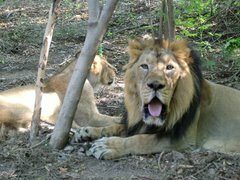 The move for relocation of big cats, first mooted in 1991, had been hanging fire because Gujarat had refused to part with the majestic lions since that state holds the unique distinction of having the natural habitat of the only surviving Asiatic lions. 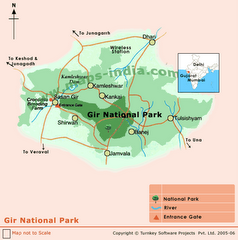 While conservationists insisted that diversifying the lions' habitat would ward off any natural, medical or man-made calamity that could wipe out the entire population, Gujarat treated the issue as a matter of pride and wanted to retain its unique status to continue to attract the substantial tourist inflow to Gir. After the Supreme Court finally resolved the issue in favour of relocation, Gujarat is left with little choice but to comply. Rajkot cops on a wild owl chase!